Welcome to Refresh Dry Carpet Cleaning and Carpet Water Damage Repairs. Experts in Dry Cleaning carpet in Sydney, especially older and more delicate carpets, such as wool carpet and persian rugs. Dry carpet cleaning is a safe and effective alternative to regular carpet cleaning, and for emergency wet carpet repairs. We cover all metropolitan areas of Sydney including emergency carpet cleaning and wet carpet restorations. Call us now on 0488 963 678. Dry carpet cleaning is the professional way to remove dust and pests which can contribute to allergies and asthma. 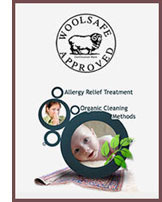 Refresh carpet dry cleaners use safe, biodegradable, non-toxic and non-irritant chemicals and formula. Call us if your carpet has been damaged by water or flooding. While Refresh Carpet Dry Cleaners recommend regular vacuuming, even the best remove only a fraction of the dust, dirt, pet waste, mites and other allergens in your carpet. There are billions of tiny insects and dirt particles that thrive on the stuff your cleaner doesn’t remove. The only way to rid your carpet of these pests is professional carpet dry cleaning. 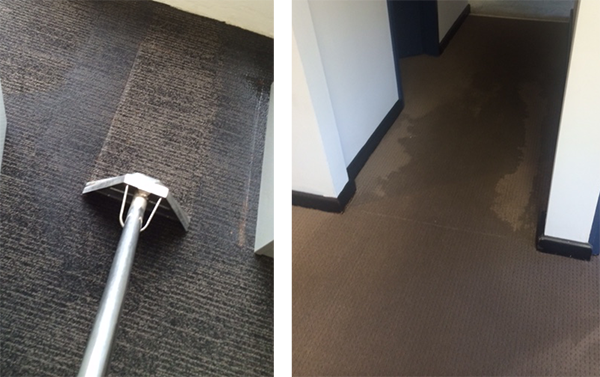 You can expect first class water damaged carpet dry cleaning every time in Sydney with Refresh Dry Carpet Cleaning. Our technicians are experts in using the Dry Cleaning method on delicate carpets. Emergency carpet cleaning should be done by professional technicians who are fully trained. Our carpet water emergency technicians are certified and skilled, and we have our team standing by 24/7 for all carpet and floor drying emergencies. If you have a carpet water damage emergency at your home or work place call the experts, Refresh Carpet Cleaning. We do carpet water damage repairs for commercial and residential properties and we provide all carpet and floor drying equipment and water extraction machines.